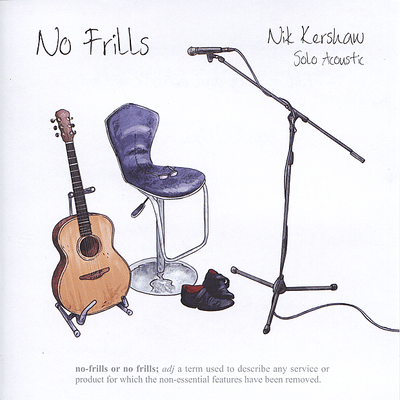 No Frills is the eighth album by Nik, recorded live and released on 1 February 2010 under his own record label, Shorthouse Records. Initially, the album was only available for purchase online via Nik’s website. “Started doing solo acoustic shows. “Why don’t you record these solo acoustic versions?”, they said. “How difficult could it be?”, they said. Bloody difficult, it turns out. Weeks and weeks locked in the garage playing the songs over and over (and over) again until I get them right. Studios can be cruel places. All flaws, squeaks, rattles, and buzzes recorded in glorious 24-bit stereo.